Inviting, open & airy. 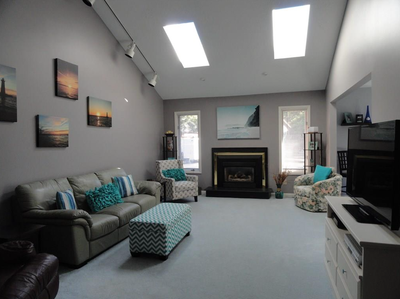 Great room offers cathedral ceiling and gas fireplace flanked by sunlit windows. 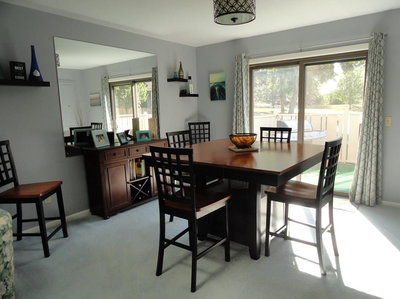 Dining room boasts a sliding door to the deck. 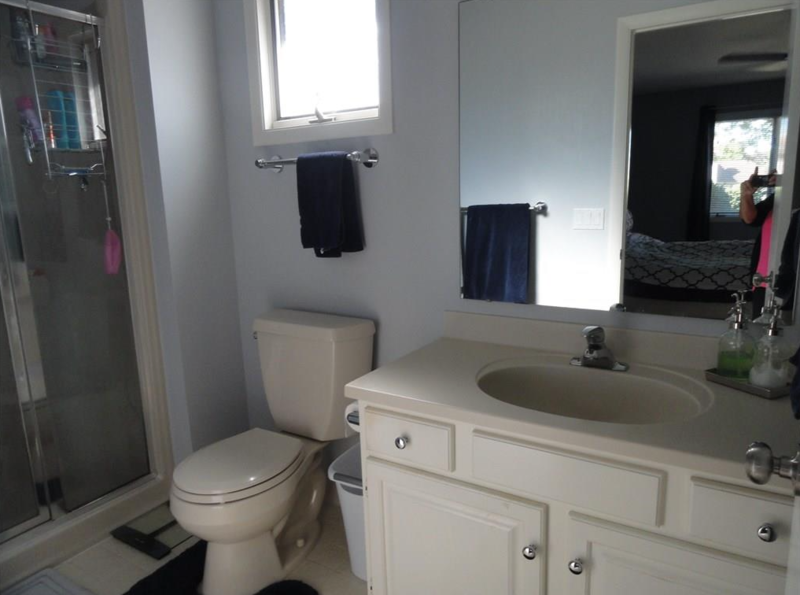 Master bedroom en suite. 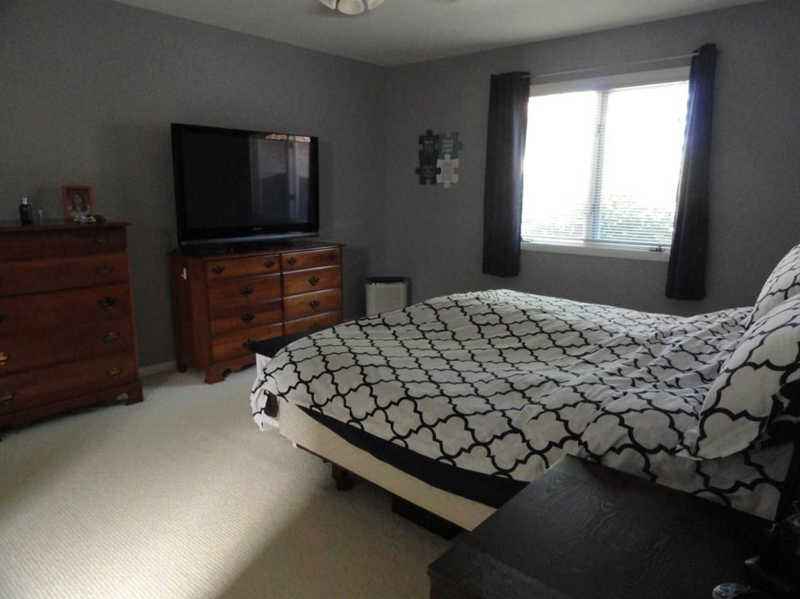 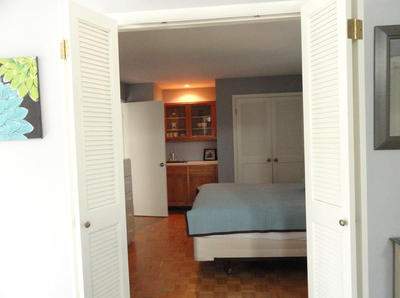 A den/study offers a wet bar and also a closet so that this room could also serve as a second bedroom. 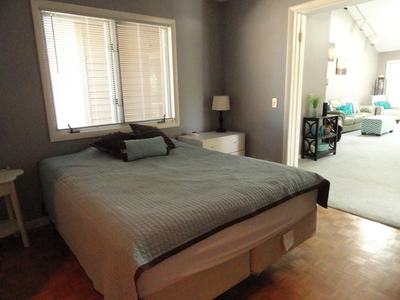 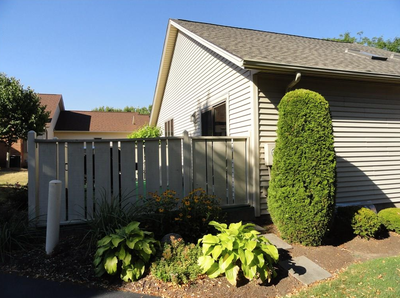 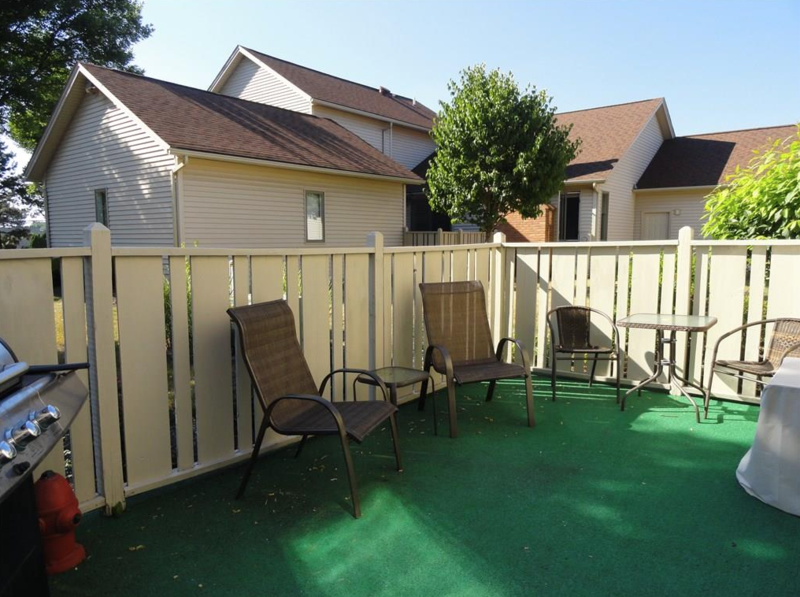 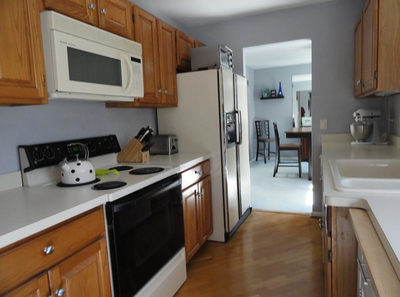 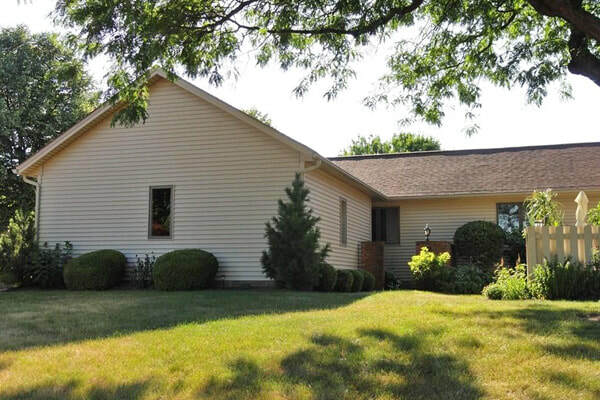 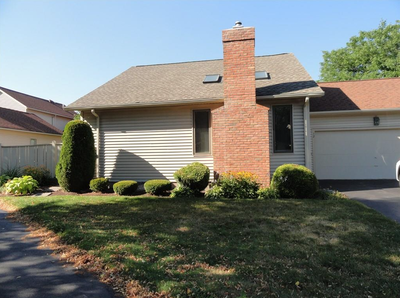 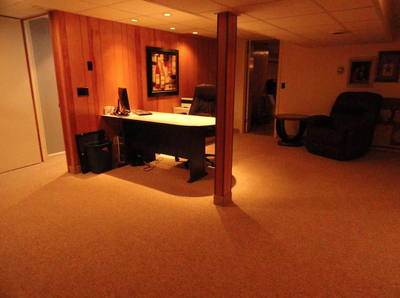 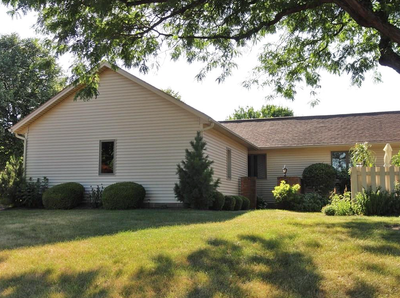 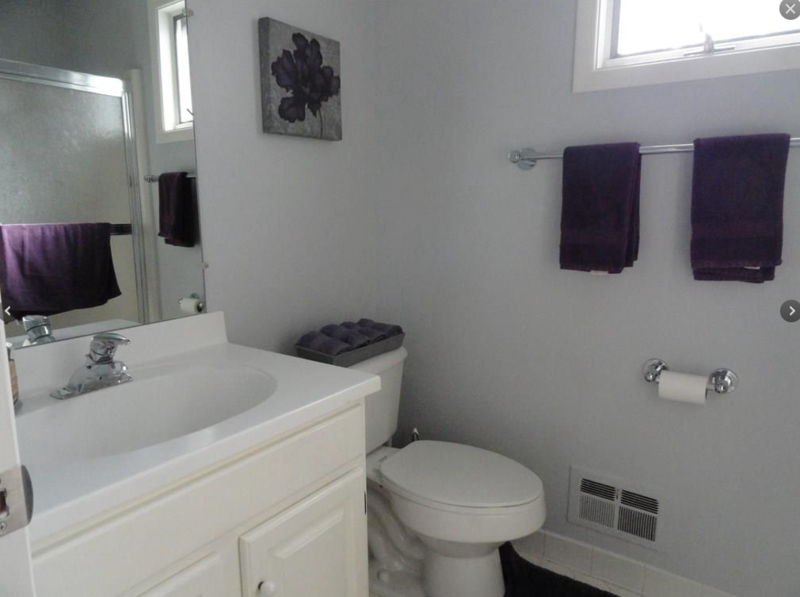 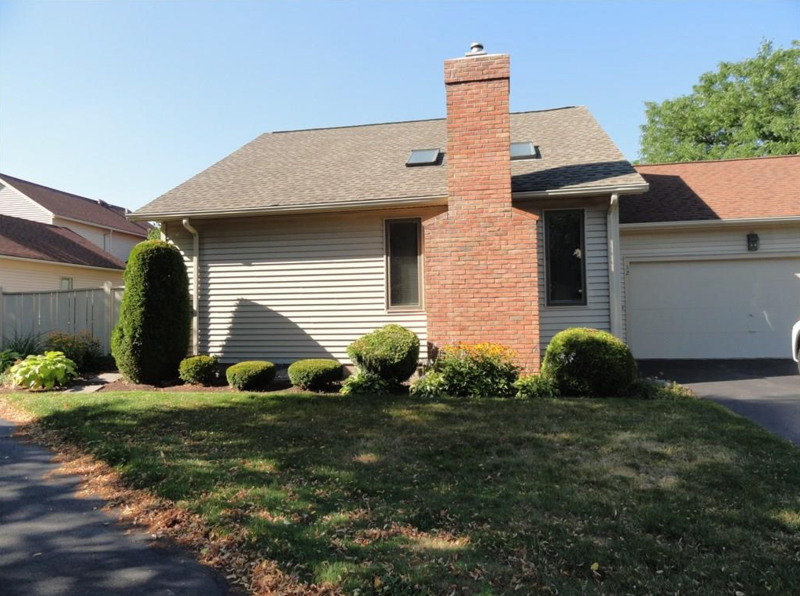 Galley kitchen, first floor laundry, 2½ baths, A/C, finished basement and two car garage. Easy living at its best!